For many people, a Reverse Home Mortgage is a good way to increase their financial well-being in retirement – positively affecting quality of life. And while there are numerous benefits to the product, there are some drawbacks — reverse mortgage disadvantages. High Fees: The upfront fees (closing and insurance costs and origination fees) for a Reverse Mortgage are considered by many to be somewhat high – marginally higher than the costs charged for refinancing for example. Additionally, FHA program changes in Oct-2017 increased closing costs for some, but ongoing servicing costs to hold the loan decreased for all. However, the fees can be financed by the Reverse Mortgage itself so there are options to avoid “out of pocket” expenses at closing. For more information on the fees charged on Reverse Mortgages, consult the Reverse Mortgage rates and fees article. Also, if fees concern you, try talking to multiple Reverse Mortgage lenders – you may find a better deal from one over another. Accumulating Interest: There are no monthly payments on a Reverse Mortgage. As such, the loan amount – the amount you will eventually have to pay back – grows larger over time. Every month, the amount of interest you will eventually owe increases – it accumulates. However, the amount you owe on the loan will never exceed the value of the home when the loan becomes due. Most Reverse Mortgage borrowers appreciate that you don’t have to make monthly payments and that all interest and fees are financed into the loan. These features can be seen as Reverse Mortgage disadvantages, but they are also huge advantages for those who want to stay in their home and improve their immediate finances. Not Enough Cash Can Be Tapped: If you have a lot of home equity, you might be frustrated that a Reverse Mortgage only enables you to use some of it. The HECM loan limit is currently set at $726,525, meaning the amount you can borrow is based on this value even if your home is valued for more. Your actual loan amount is determined by a calculation that uses the appraised value of your home (or the lending limit above, whichever is less), the amount of money you owe on the home, your age, and current interest rates. It Seems Complicated: A Reverse Mortgage is a mortgage in reverse – that can be hard to get your head around. With a traditional mortgage you borrow money up front and pay the loan down over time. A Reverse Mortgage is the opposite – you accumulate the loan over time and pay it all back when you and your spouse (if applicable) are no longer living in the home. Any equity remaining at that time belongs to you or your heirs. The basics of Reverse Mortgages can seem so foreign to people that it has actually taken many financial advisors and personal finance gurus some time to understand the product. Many experts shunned the product early on thinking that it was a bad deal for seniors – but as they have learned about the details of Reverse Mortgages, experts are now embracing it as a valuable financial planning tool. The main advantage of Reverse Mortgages is that you can eliminate your traditional mortgage payments and/or access your home equity while still owning and living in your home. Given the right set of circumstances, a Reverse Mortgage can be an ideal way to increase your spending power and financial security in retirement. Flexibility: The Reverse Mortgage is a tremendously flexible product that can be utilized in a variety of ways for a variety of different types of borrowers. Households who have a financial need can tailor the product to de-stress their finances. Households with adequate resources might consider the product as a financial planning tool. Stay in Your Home and Improve Your Immediate Finances: The key to a Reverse Mortgage is that it enables you to live in your home for as long as you want with absolutely no monthly mortgage payments and – in many cases – you can also get access to money to use for any purpose. Reverse Mortgage Lenders have no claim on your income or other assets. No Downside: With a Reverse Mortgage you will never owe more than your home’s value at the time the loan is repaid, even if the Reverse Mortgage lenders have paid you more money than the value of the home. This is a particularly useful advantage if you secure a Reverse Mortgage and then home prices decline. Tax Free: As a Reverse Mortgage is a loan, the money from it is typically tax-free, whether you receive it as fixed income or in a lump sum. 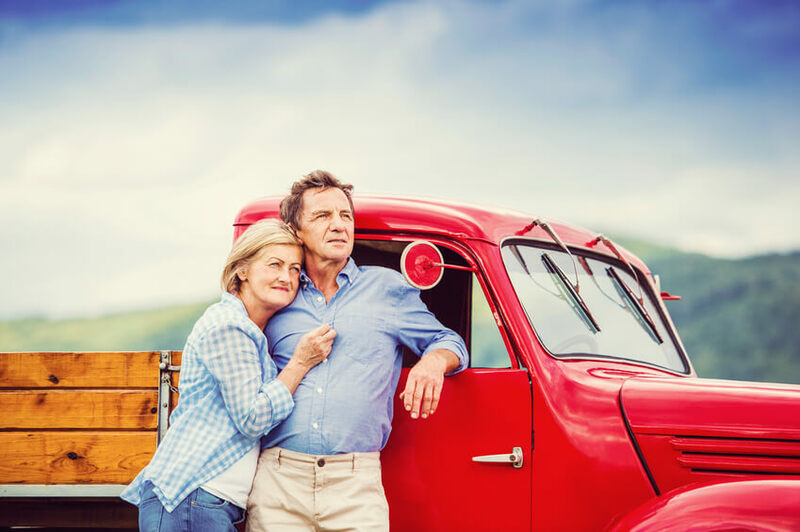 No Restrictions: How you use the funds from a Reverse Mortgage is up to you – go traveling, get a hearing aid, purchase long term care insurance, pay for your children’s college education, or simply leave it sitting for a rainy day – anything goes. Flexible Payment Options: Depending on the type of loan you choose, you can receive the Reverse Mortgage loan money in the form of a lump sum, annuity, credit line or some combination of the above. With the line of credit option, you can ensure easy access to cash when you need it, such as an emergency or to help a surviving spouse manage cash flow without the stress (or additional cost) of having to refinance later in life. Home Ownership: With a Reverse Mortgage, you retain home ownership and the ability to live in your home. As such you are still required to keep up insurance, property taxes and maintenance for your home. Guaranteed Place to Live: You can live in your home for as long as you want when you secure a Reverse Mortgage. Federally Insured: The Home Equity Conversion Mortgage (HECM) is the most widely available Reverse Mortgage. It is managed by the Department of Housing and Urban Affairs and is federally insured. This is important since even if your Reverse Mortgage lender defaults, you’ll still receive your payments. Preserve and increase the value of your home equity: If you take your loan amount as a Home Equity Line of Credit, then this Reverse Mortgage Line of Credit grows annually. This locks in your current home value, and your reverse mortgage line of credit over time might be larger than future real estate values if the market goes down. Maximize wealth: Personal finance can be complicated. You want to maximize returns and minimize losses. A Reverse Mortgage can be one of the levers you use to maximize your overall wealth. Reconsider if You Are Planning to Move in the Near Term: Since a Reverse Home Mortgage loan is due if your home is no longer your primary residence and the up front closing costs are typically higher than other loans, it is not a good tool for those that plan to move soon to another residence (within 5 years). Evaluate if You are Willing to Reduce Your Heirs Inheritance: Many people dismiss a Reverse Mortgage as a retirement option because they want to be sure their home goes to their heirs. And it is true, a Reverse Mortgage decreases your home equity – affecting your estate. However, you can still leave your home to your heirs and they will have the option of keeping the home and refinancing or paying off the mortgage or selling the home if the home is worth more than the amount owed on it. There are numerous potential Estate and Retirement Planning benefits to a Reverse Mortgage – see Innovative Uses of a Reverse Mortgage for more information on these options. Reverse Mortgage Pros and Cons… Do the Advantages Outweigh the Disadvantages? Studies indicate that more than 90 percent of all households who have secured a Reverse Mortgage are extremely happy that they got the loan. People say that they have less stress and feel freer to live the life they want. Learn more about the fees associated with a Reverse Mortgage or instantly estimate your Reverse Mortgage loan amount with the Reverse Mortgage Calculator.